During the first 2 months of joining you should complete Basic Training. As you get more involved in Scouting and begin doing outings leaders need to complete additional trainings. Once you've grasped the basics of Scouting it is time to take your experience to the next level. Leadership Training is not just for adults. 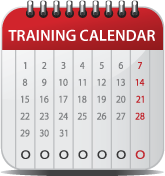 Also check the Atlanta Area Council training calendar. Position Specific Online Training is now available on Scouting U. The courses are split into quick modules that you can complete whenever you have a moment, even when waiting in carpool line! All registered leaders must complete Youth Protection training every two years. We highly recommend doing so even more frequently. All adults involved in scouting are also encouraged to take the training. The safety of our youth is our top priority. 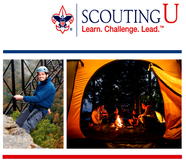 University of Scouting (UoS) is the premier training council event of the year. It is designed to help your Pack, Troop, Team, Crew, or Ship bring success back to your unit by taking supplemental and specific training classes. There are also classes for youth leaders and commissioners. We encourage your leadership team to attend UoS together.